The Monterey hotel is a conveniently located town hotel with excellent facilities and warm hospitality. 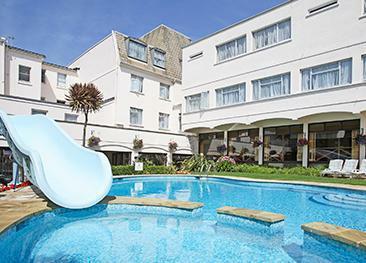 Purpose-built, the hotel is always keeping up with new trends and is a fantastic base for exploring Jersey. The newly refurbished bar and restaurant area provides an excellent dining facility, food is served all day within the bar area. The Monterey features double and twin rooms, and family rooms for two or three children. There are also two single rooms. Superior rooms are available on request. All guest rooms are en-suite and equipped with Freeview television and radio, tea and coffee facilities, telephone and hair dryer. Gordini's is a contemporary space that is open for breakfast and also offers a table d’hôte menu in the evening. On-site indoor swimming pool facilities, steam room, spa bath and mini gym are provided free of charge. A large outdoor swimming pool is also available for fine days. The Monterey is disabled friendly with easy access from the main door through to the restaurant. There is a lift from the main lobby to the rooms. The Monterey is on the northern edge of St Helier, Jersey’s main town. The hotel sits back from the road guaranteeing peace and quiet inside. A short walk is all it takes to reach the town centre’s shops and restaurants. 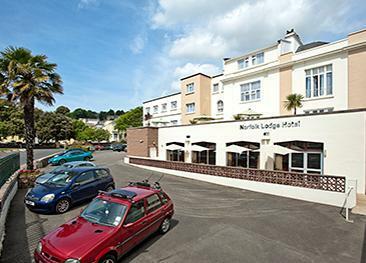 The hotel is directly on the island’s bus route network and also offers excellent complimentary parking facilities. Hotel clean and comfy, staff make a lot of fuss of returning clients tend to ignore new ones a bit. Food could have been better for the money quite bland and tasteless at times. 1. First morning shower in bedroom 1 (211) only had a trickle of water. Guy on Reception fixed it in a few minutes! One of the most friendly hotel we've stayed at as this was a return back to the same hotel i would most definitely recommend them to anyone. Pleasant and friendly staff. Good food.